A sign should have flashed above me to warn me that I was about to fall into a rabbit hole when I found this book at a local antique mall. Pay Dirt by J. I. Rodale, copyright 1945. 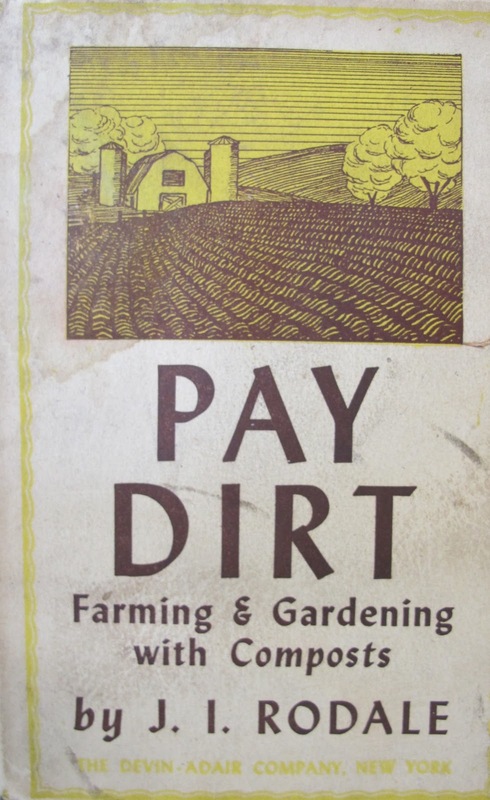 Forward by Albert Howard, author of An Agricultural Testament, copyright 1940. "A revolution in farming and in gardening is in progress all over the world. If I were asked to sum up in a few words the basis of this movement and the general results that are being obtained, I should reply that a fertile soil is the foundation of healthy crops, healthy live stock, and last be not least healthy human beings. By a fertile soil is meant one to which Nature's law of return has been faithfully applied, so that it contains an adequate amount of freshly prepared humus made in the form of compost from both vegetable and animals wastes." A good rabbit hole to fall into, to learn more about Rodale, Howard, and all those others who preached "compost" to any who would listen or read. Whoo-hoo! I would love to be slipping down the rabbit hole after you. Thanks for sharing the love of old, good books. 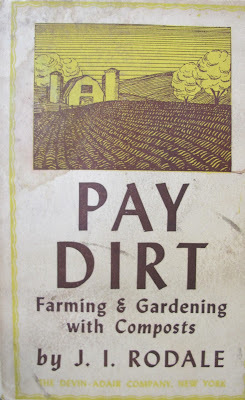 Yes, I love the old gardening books. I found a dozen the other day at an antique mall and bought them all. They are fun to read through the winter and when it is too hot to be outside. What a rare find. Is this a Rodale from the Organic Gardening Rodale's? Maybe an earlier generation? Great quote, especially about returning what is Natures back to Nature. I often wonder about taking crop residues from fields for use in biofuels. Seems to me that the crop residues need to go back into the soil or we face a downward cycle and rob the soil yet again.